Norwegian Maritime Competence Center has become a great success for both the marine and maritime sectors and has spurred great ripple effects for the town of Ålesund and the entire Møre coastal region. The commercial clusters in Sunnmøre has proven that competence cooperation between businesses, and between businesses and academia, creates innovation and further growth. 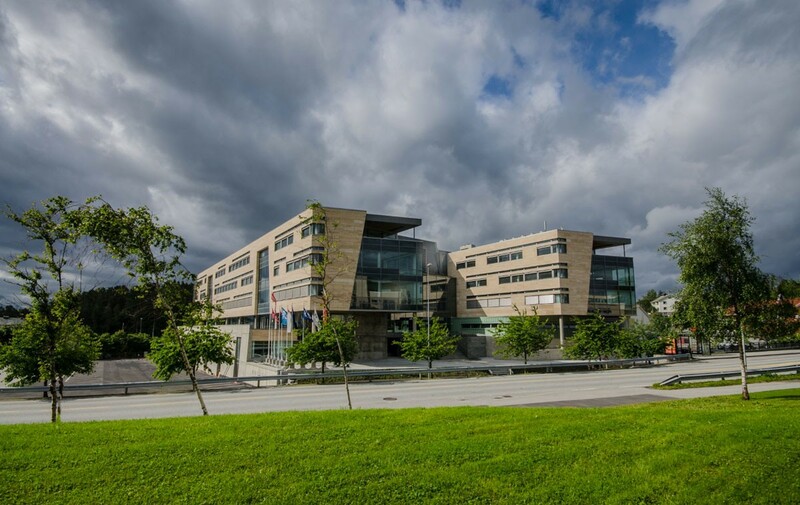 Norwegian Maritime Competence Center is a part of Campus Ålesund and its objective is to be one of Norway's most important meeting places for competence and development. A further development and extension of the NMCC is a sentral part of the vision to make the NMCC into a world leading maritime center. Norwegian Maritime Competence Center has today a total area of 39 000 square meters and several of the most important players of the maritime cluster resides within its area. Amongst others Rolls -Royce has situated its Technological Training Center within the building. For more information about other tenants there is a separate list over all the tenants. In the NMCC there are several simulators and Offshore Simulator Center has the worlds most advanced offshore simulator as a very eyecatching part of the main entrance area. The simulators can be connected together for the simulation training of the complete crew, as well as connecting several ships together for integrated and advanced operations.